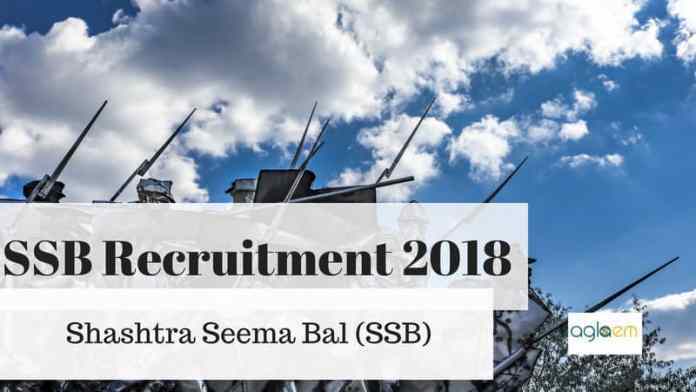 Shastra Seema Bal (SSB) introduced the SSB Recruitment 2018 at ssb.gov.in. The application form has been started on August 11, 2018. The eligible candidates can apply till September 11, 2018. SSB will conduct a Physical Efficiency Test/ Physical Standard Test and Written exam followed by Skill Test to recruit 181 candidates. Sub Inspector, Assistant Sub – Inspector, and Head Constable are the posts for which recruitment is being conducted. The candidates who will fill the form in time SSB will issue them the admit card for the recruitment exam. The candidates will be selected who will score minimum qualifying marks in each stage of recruitment. At last selected candidates have to undergo the final medical examination on said centers. Get here more about SSB Recruitment 2018 on this page, like application process, selection process and pay scale. Latest: The application process is on the go for SSB Recruitment 2018. Scroll down to apply. Last year the SSB Recruitment was announced with 872 vacancies. But this time the vacancies are very less as compared to the 2017 year, Total 181 vacancies are open for SSB Recruitment 2018. The competition is going to be tough, but with strategy and dedication, candidates can achieve their goal. The application form of SSB Recruitment 2018 can be filled up to the due date on the online portal on SSB. The candidates who meet the eligibility criteria should have fill there form online with the appropriate fee. The forms are available online, apart from that no other mode will be available to do the same. Apply Online: Click here to fill the application form of SSB Recruitment 2018. The mode of submitting the application fee and form is online. 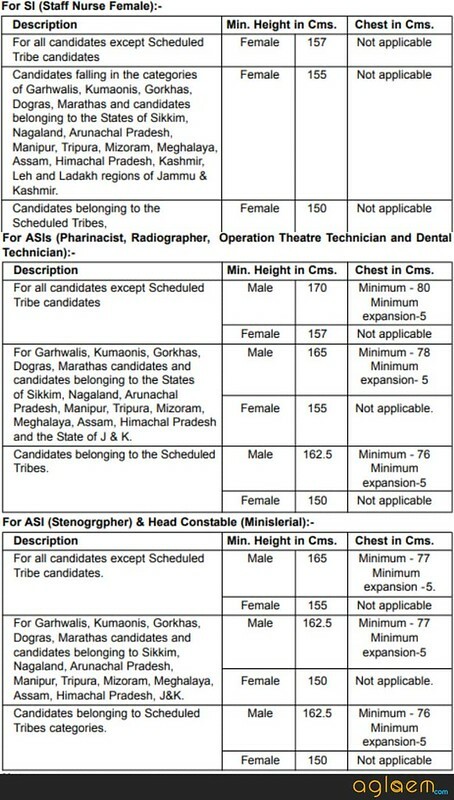 Shastra Seema Bal (SSB) introduced 181 vacancies, the candidates who are applying can check the vacancy distribution from here. SSB has distributed the vacancy as per the post and their respective category. Before filling the application form the candidates should check the eligibility criteria. 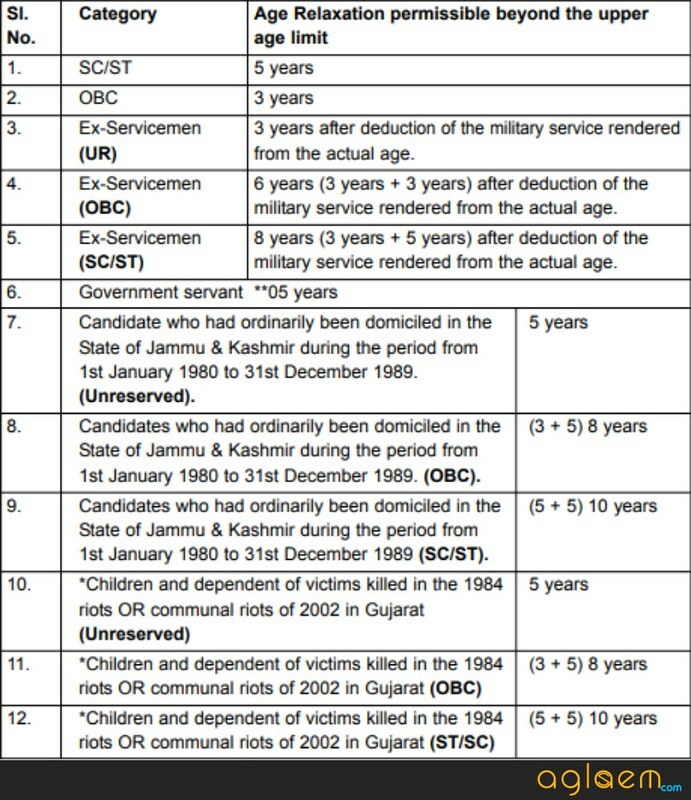 Check here the norms set by the SSB as eligibility criteria. Age Limit: For different posts, the age limit also varies here. Check them form the table. Age Relaxation: Candidates will get appropriate age relaxation as per there category to check category wise age relaxation from here. Educational Qualification: The candidates who are applying should possess the following qualification as per the post for which they are applying. 03 years Diploma in General Nursing from an Institution. Physical Standard: The candidates should meet the physical standard set by the recruitment board. SSB will release the admit card for the recruitment exam at ssbrectt.gov.in. The candidates who will fill the form will able to download the form from the official website. The candidates should note that, as there are three phases in the entire selection process hence the recruitment body will issue the admit card thrice for each post separately. The admit card is an essential document for the purpose of the exam. Hence candidates have to carry the admit card in the examination hall. Otherwise, they will not be allowed to attempt the exam. As we said above the recruitment has been divided into three phases so, here candidates can check the detailed examination scheme. Initially, in the first step of the recruitment, candidates have to appear for the physical efficiency test and physical standard test. Those who will perform well will be selected in PET/PST. After that, they have to appear for the documentation with appropriate documents. In the written exam, there are two papers. The paper I is a common paper, Each candidate has to attempt the exam irrespective of the post on which he applied. Candidates have to attempt 100 MCQ in paper II. The questions are designed to test the core competency of the candidate. The duration of the exam will be 02 hours. The candidates who will apply for the post of ASI Stenographer and HC will have to attempt the descriptive exam which will contain 01 essay writing (25 marks), 01 precis writing (25 marks), 01 letter writing (25 marks) & 01 comprehensions (25 marks). The duration of the exam will be 02 hours. The paper carries 100 marks. Note: The candidates should note that recruitment board will check paper II if candidates score minimum in the paper I. Only those candidates have to appear for the Skill test who will apply for ASI Stenographer and HC. In skill test, their skills o computer will be tested. As it is the last phase of recruitment hence candidates have to qualify Paper I and Paper II for attempting the Skill Test. However, Skill test doesn’t carry any marks. It is qualifying in nature. The candidates who will appear in the examination will able to check their answer key when recruitment body will release them. After conduction of the exam, SSB will release the answer key at ssb.gov.in. The candidates will able to cross-check their marked answer with the answer key. For fetching the answer key candidates might require some login credentials. After getting the answer key candidates can calculate their estimated marks. Once the recruitment process will over candidates be selected on the post which they will apply. The candidates will get the appointment by the SSB. During their service, they will get their salary as per the and other allowance as per 7th Central Pay Commission 7th CPC. Apart from the basic pay candidates will be entitled with the Dearness Allowance, HRA, Ration Money Allowance and any other allowances as admissible in SSB.